New Government Valuation $1M but come and tell us what it's worth? 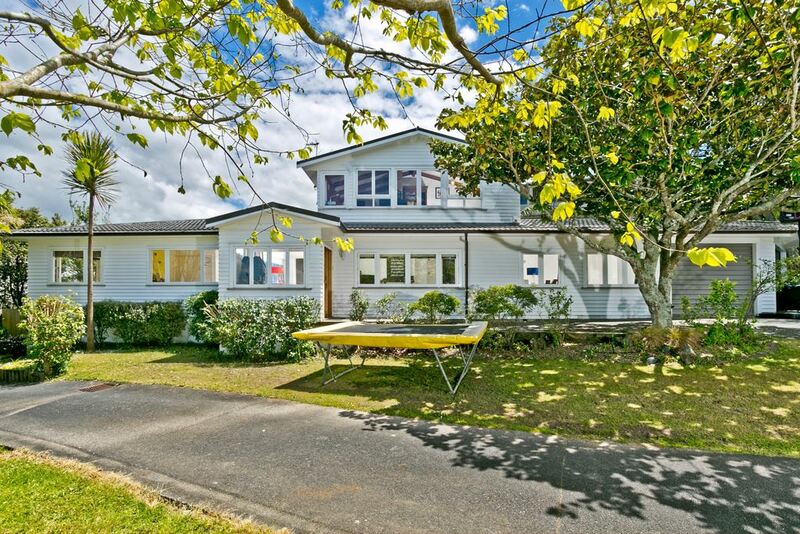 With a layout and size ideal for large or extended families, just up the road from Murrays Bay Beach and Sailing Club and zoned for great schools and a short stroll along the beach to Mairangi Bay shops, this is a very sought after home. Charming in character and fabulous in traditional weatherboard this 1966 built home offers multiple living areas. Cleverly designed with both formal and informal areas created for all the family. 5 substantial bedrooms, 3 bathrooms, formal and casual dining and 2 living areas. The master bedroom is located in a separate wing, ensuring privacy with other rooms located in a separate wing. Upstairs offers an ideal parent's retreat or guest wing with bedroom, bathroom and lounge or use for evenings family gatherings or work from home whilst taking in the view down to the beach and across to Rangitoto. Living and bedrooms flow out back to a private courtyard, ideal for a spa pool. A wonderful welcoming feeling, great street appeal and space galore, this home truly lends itself to the family that loves to spend time together or with friends and awaits your immediate inspection. "Vendor moved on to a new project and wants to cash up"